More fruit than a lot of the Tocai Friulanos that I have had from Italy, but contains the same racy acidity and mineral overtones. Awesome effort, and a nice wine for a grape that is rarely planted in the US, much less in New York state. 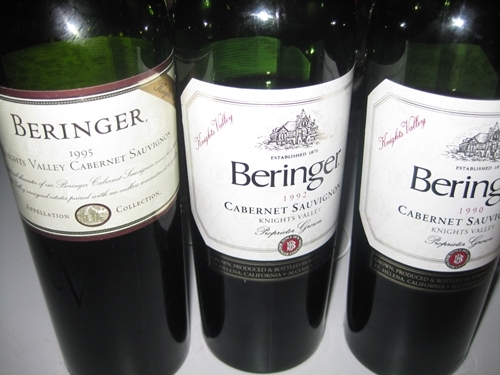 A Beringer Knights Valley “4 for 1”! 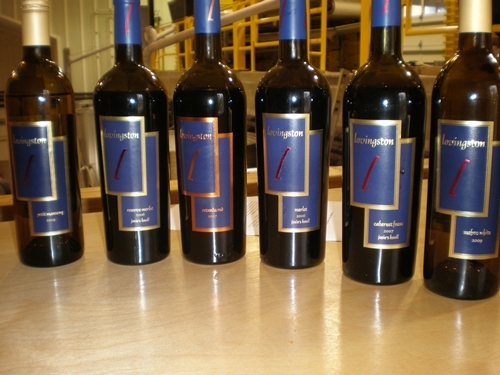 I titled this post “4 for 1” because I am doing four Beringer wines, all from Knights Valley. The first three are all Cabernet Sauvignons from the 90’s and the fourth is the ’04 Aluvium, a Merlot dominated blend. Wine Information for the Beringer Knights Valley Cabernet Sauvignon’s is unavailable! Even in the vast world of the interwebs, I couldn’t find specifics on the three back vintages. 1990: nice red fruit, hints of chocolate and cherry with an interesting note of adzuki or white bean. Still a decent amount of tannins and acidity – I just felt it was a bit tired, but still impressive for a 20 year old Cabernet. 1992: A bit of funkiness, the good kind, leather and earth laced with black currant on the nose. More funk on the palate, with additional blackberry and more red fruit notes interlacing in the mid palate. Smooth and rich, with great leathery tannins. Again impressive for its age, my favorite of the bunch. 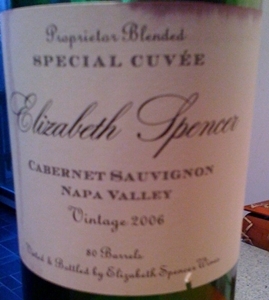 1995: Oak was the first thing that hit me, and the fruit was a little muddled on the nose. Good notes of black cherry, fennel and more toasty oak and vanilla notes on the palate. Huge tannins for the age, surprising, and a little overwhelming as I don’t think it had the fruit to back it up. Felt a little disjointed but maybe just needs more time, seeing how impressed I was with the ’92. I had the above wines at a tasting group that I attend once a month, and these were a treat that one of the girls brought for us to enjoy. On the way home, I thought I needed to keep the Beringer Knights Valley train going, so I opened a 2004 BKV Aluvium. Impressive, as I’m not partial to California Merlot in general. Enthusiast gave it a 93 and said to drink through 2010. I can almost agree with that high of a rating, as it was really good, but I think it can roll for quite a few more years, it is definitely not on it’s last leg. Nautique is a second label of Peconic Bay winery on the North Fork of Long Island, a little more value oriented brand meant for every day consumption. Currently they make a “Esprit de Rouge” and an “Esprit de Blanc”, and we picked up both during our visit to Long Island back in October. Nice everyday wine that is ready to drink young, and went great with our pizza. 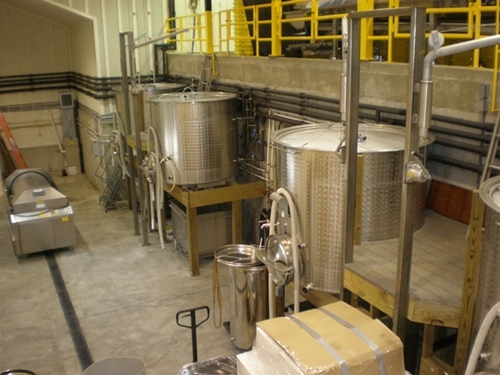 Nothing too complex about the wine, but I believe that is how it was “built” and what it was meant to be. 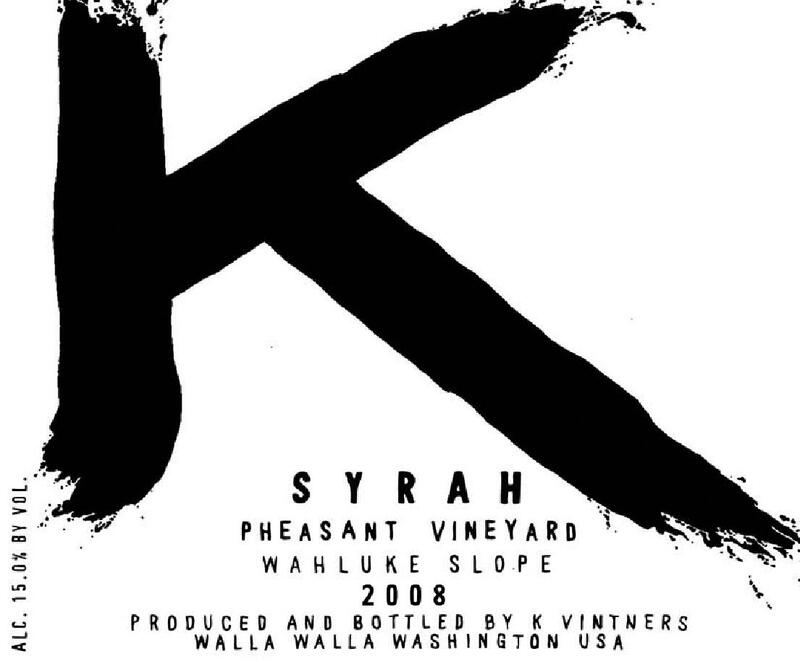 Lots and lots of cherry, with hints of cola and licorice to balance out the fruitiness. 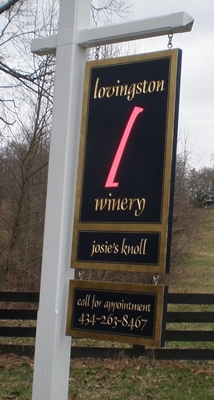 This wine has a decent distribution on the East Coast so if you live in NY, NJ, and CT – you should be able to find it. 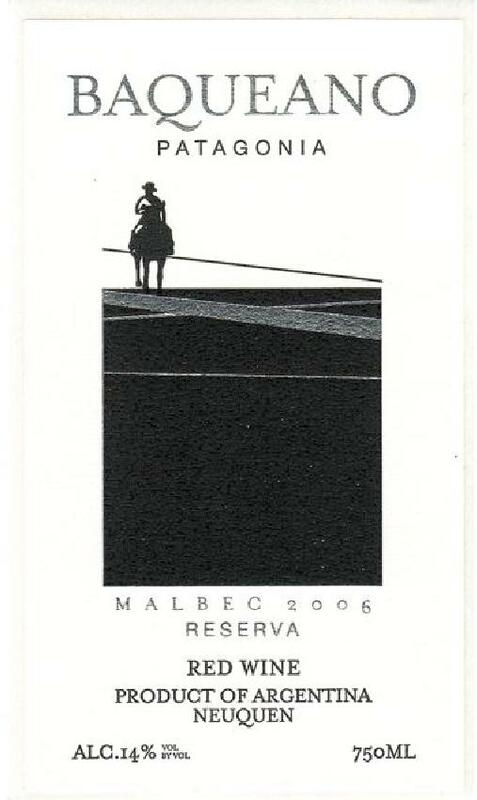 Finca La Linda is a second label for Luigi Bosca, who’s Malbecs I have had in the past and quite enjoyed. I was sent some wines from the La Linda label for review and the Bonarda is the first one I tried. I think I have only had one other 100% Barnarda in the past so I don’t have much of a reference point, although I have had dozens of wines in which the grape was part of the blend. 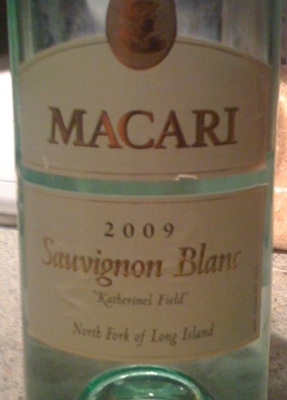 The wine had excellent structure – good acidity and tannins – but the flavor profile just wasn’t for me. Definitely some interesting flavor notes, but the dominance of cooked fruit and weak port flavors just wasn’t appealing to me – at least in a table wine. I was hoping that the La Linda line would be not to far off from Luigi Bosca, but so far it is. Maybe the Malbec will be better! On a slightly chilly rainy October day in Cutchogue, New York Megan and I made our way into the tasting room at Peconic Bay Winery. This was our first visit to the winery and we were shown a great time by Pascal Zugmeyer, Hospitality Director and Jim Silver, General Manager. We tasted through the entire lineup of Peconic wines, including their new more value based line Nautique. On the day I felt the 2007 Cabernet Franc ($22) was the winning wine for me with a very close second being the 2007 Cabernet Sauvignon (75% Cab, 25% Merlot). On a non wine related note, the bathrooms at Peconic have the coolest hand dryers I have ever seen, the Dyson Airblade, very energy efficient and dries your hands in like 2 seconds. As you can see from the notes, lots of green veggies and meaty, earthy herb notes on the nose and palate of this wine. Don’t let that discourage you as it is not “green” in anyway. Very well put together and excitingly zippy with it’s bright acidity. There was something slightly off on the palate for me that I couldn’t identify, but wasn’t strong enough to affect the overall perception. Look for future notes on the Cabernet Sauvignon, although it may be a while since it needs a bit of time in the cellar.